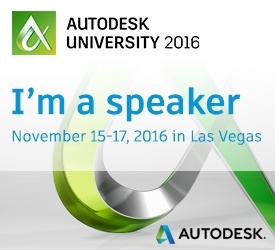 Smartvid.io to share the stage with two of its customers, BRG and Skanska, at this year's Autodesk University. BRG and Smartvid.io will be hosting the industry session "Smarter Data for Construction & Handover: Easily Connecting Video & Photos" on Thursday, Nov 17, 10:30 AM - 11:30 AM. Skanska and Smartvid.io are co-presenting on "New Age 'Reality Capture': leveraging machine-learning and BIM to organize field data" on Thursday, Nov 17, 1:00 PM - 2:00 PM. The advantages that drones create for professionals in a construction environment are details that we’ve discussed before , as those capabilities are creating countless opportunities in terms of making a positive impact on the bottom line and keeping everyone safer. Photo and video documentation is exploding in construction with ever-increasing amounts being created from mobile devices, drones, and new devices on the jobsite. Josh Kanner, CEO and founder of Smartvid.io and Oliver Smith, VDC Director at Skanska USA are presenting at this year's commercial UAV Expo. Their presentation "NEW AGE “REALITY CAPTURE”: LEVERAGING MACHINE-LEARNING AND BIM TO ORGANIZE FIELD DATA" is taking place on November 2nd at 2:00 pm.